Date: Feb 15 2019, 5:30 p.m. - 7:30 p.m.
Are you ready to have some family fun? 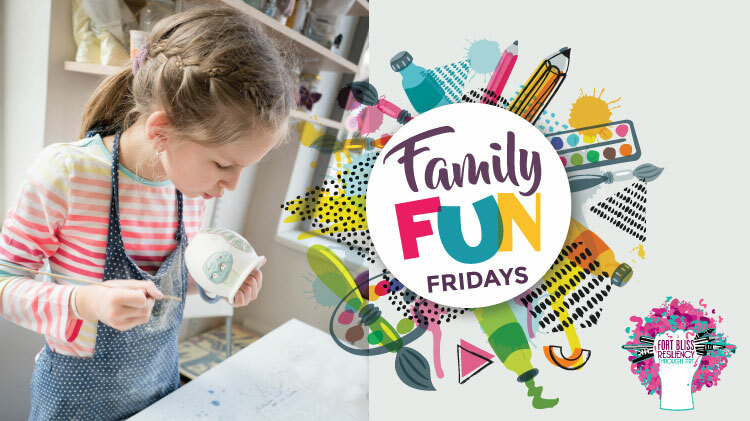 Join the Art & Hobby Shop for Family Fun Fridays and decorate a ceramic piece all while watching a family friendly movie! You are welcome to bring your own snacks to enjoy. *please be considerate of allergies. Open to DOD ID Cardholder and their family members. Children must be accompanied by an adult.